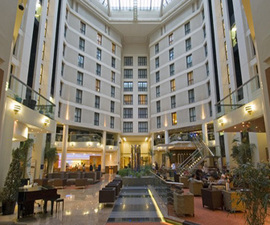 TITAN supplied the Hilton Hotel, Reading with all the BACnet fan coil controllers and Room Display Units for its 270 bedrooms, conference rooms and public areas. Installed by Integrated Control Systems of Reading, theFCU-4 controllers and RDU4 are designed to allow temperature and fan speed control. The controllers and interfaces are fully BACNet enabled allowing the system to be fully integrated into the Hotel Letting System and BMS system. TITAN Products supplied a range of Environmental Sensors to the Petronas Towers including over 4,500 temperature ceiling sensors. Please visit the temperature sensor, humidity sensor or gas sensors sections on the website for more details on these products. 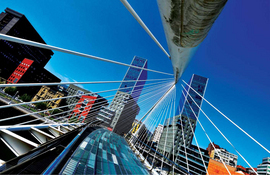 Through Strong links with Sedical Spain, Titan Products have supplied a range of Modules used throughout Spain including IO/SCM signal Converters installed by Sedical in The Isozaki Atea twin towers, in Bilbao. Please visit the Input / Output modules section of this website for more details on these products. 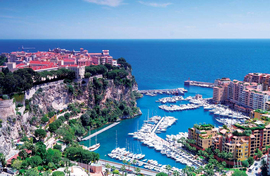 The Terraces Du Port luxury apartments in Monaco were supplied with the RTC Room Controller from TITAN Products. Please visit the temperature control section of this website for more details on these products. 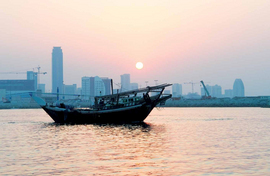 Working with Hafele Middle East Titan Products supplied Bespoke Interface assemblies for the 262 Bedroom Sofitel Bahrain Hotel. Please visit the BACnet Controllers and Temperature Control sections of this website for more information on these products. Working for Trane UAE TITAN developed and supplied approximately 750 pieces of a 2 stage chiller temperature controller. The product was to provide comfort control to Jumeirah village Villas and incorporated 2 stage cooling control with setpoint, switching differential, fan proving via an airflow DPS, alarm inputs and automatic changeover of chillers for load sharing. 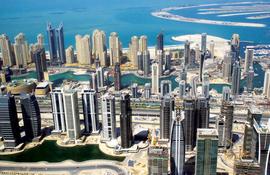 The overall control scheme was devised by TRANE UAE office in Dubai with TITAN providing electronic hardware and software design as well as the manufacturing and supply of the finished product. This project future enhances the long standing working relationship between the two companies whereby TITAN have provided technical solutions to control TRANE air conditioning plant delivering comfort, efficiency and reliability. 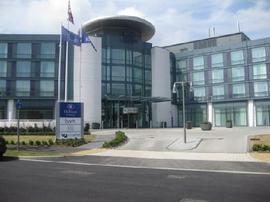 The Sofitel London Heathrow Hotel which is linked to London Heathrow’s Terminal 5, is the world’s largest, luxury airport hotel. The award for the best airport hotel in the world was given as part of the USA business traveler magazine hotel awards. Working with Trane UK, Titan Products Ltd supplied the 5 star, 605 bedroom hotel with RDU room air conditioning control interfaces and DND corridor plates. Integrated into the DND corridor plate is the Dialock access control system provided by Hafele. The complete system, along with the 45 meeting rooms, was interfaced with the hotel letting system and BMS. This entry was posted in Company News, Projects. Bookmark the permalink.